When I saw Him, I fell at His feet as dead. 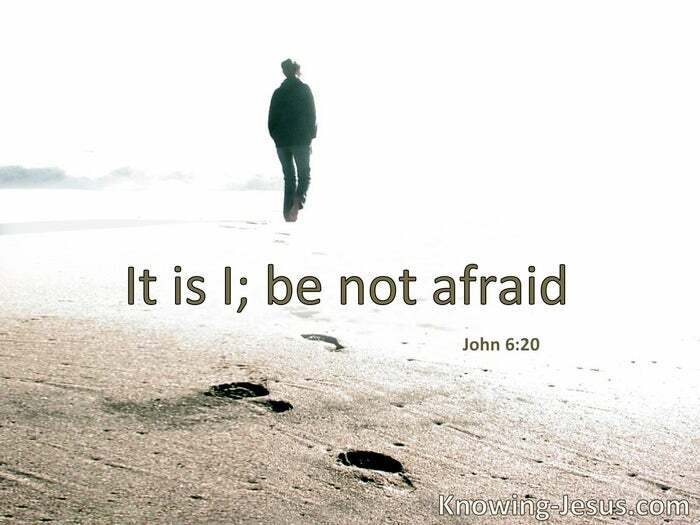 But He laid His right hand on me, saying to me, “Do not be afraid; I am the First and the Last. I am He who lives, and was dead, and behold, I am alive forevermore. Amen. And I have the keys of Hades and of Death.” § I, even I, am He who blots out your transgressions for My own sake; and I will not remember your sins. “Woe is me, for I am undone! . . . My eyes have seen the King, the Lord of hosts.” Then one of the seraphim flew to me, having in his hand a live coal which he had taken with the tongs from the altar. And he touched my mouth with it, and said: “Behold, this has touched your lips; your iniquity is taken away, and your sin purged.” § I have blotted out, like a thick cloud, your transgressions, and like a cloud, your sins. Return to Me, for I have redeemed you.